Bluemay bearings are made from Nylatron® GS, a molybdenum disulphide (MoS2) filled grade of nylon 6.6 which is superior to unfilled nylon 6.6 in that it offers improved low friction, wear resistance and self lubricating properties. 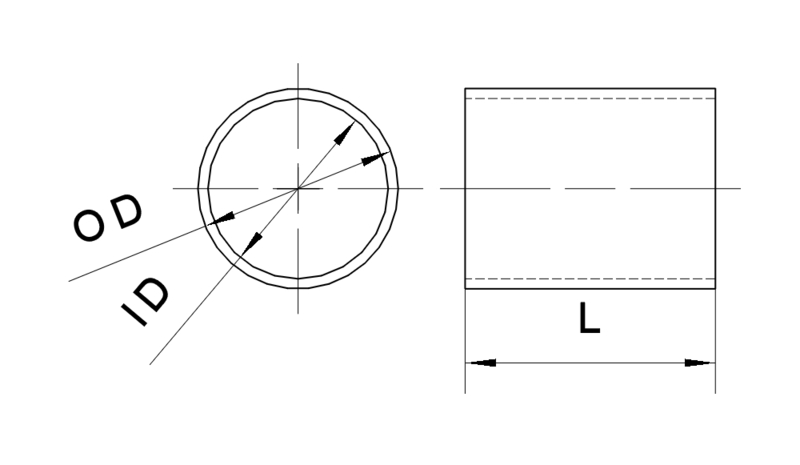 Bluemay bearings are ideal for engineering applications where enhanced bearing and wear properties are required. They are strong, lightweight, have good insulating and self lubricating properties and have a decreased propensity to seize when compared with other plastic bearings. The inclusion of MoS2 also improves strength and rigidity of the bearing. Contact us with your required sizes and dimensions on 01380 821811. Nylatron® is a registered trade mark of the Quadrant group of companies. 1" 1" 1 1/8" 1"
1 1/8" 1 1/8" 1 9/32" 1"
1 1/4" 1 1/4" 1 13/32" 1 1/4"
1 3/8" 1 3/8" 1 17/32" 1 3/4"
1 1/2" 1 1/2" 1 21/32" 1 1/2"
1 5/8" 1 5/8" 1 25/32" 1 1/2"
1 3/4" 1 3/4" 1 15/16" 2"